Last week, Harry Potter Years 1-4 was announced by Warner Brothers for the iPhone, iPad, and iPod touch. Well, it’s here and is available as of a few hours ago, just in time for the seventh movie. $4.99 will buy it for you at Apple’s iTunes Store. Hogwarts castle – a grand, immersive 3-D environment and the largest, most detailed LEGO® game location ever built. It does take advantage of Apple’s high-resolution Retina display on the iPhone 4. 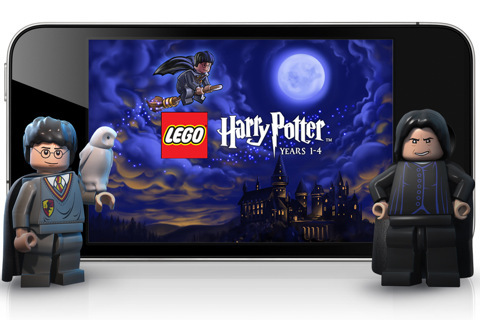 You can find more images from Warner Brothers PR/iTunes at the full LEGO Harry Potter: Years 1-4 for iPhone, etc. set (flickr). Due to the requirements, it’s going to be a few days before I review it.